The Royal & Derngate Theatre in Northampton is Northamptonshire’s foremost venue for arts and entertainment; last year welcoming over 300,000 theatre goers through its doors. The theatre is one of two halves, literally. The Royal Theatre, and the Derngate. The Royal Theatre opened its doors in 1884 and is a Grade II Listed building, whereas the Derngate opened in 1983 and as such is far less traditional than the Royal, though no less grand! The combination of the two eminent buildings reflects the nature of the theatre as one that both exudes heritage and pioneers in the field of production. Now that you’re suitably impressed, let us tell you a bit about what’s coming up at the Royal & Derngate this autumn from one the finest boutique hotels in Northamptonshire. It is well known by those familiar with Shakespeare, that the man knew how to write a death scene. And so, in homage to the bard’s great flare for fatality, the UK’s leading physical comedy company, Spymonkey, have decided to perform all seventy-five of Shakespeare’s death scenes in one outrageously entertaining performance. From the carnage that is the ending of Hamlet; to snakes in a basket in Antony & Cleopatra; the performance is not short of stabbing, poisoning, smothering and many more a grisly ending. Not for the fainthearted! For the first time ever, a taste of Germany is coming to Northampton! Enjoy traditional Oktoberfest treats, from an ice cold stein of German beer; to delicious authentic German bratwurst, strudel, schnitzel and freshly made pretzels. On top of all of the scrumptious German snacks, the day will be set to the lively sounds of a traditional oompah band! So brush up on your Deutsch and head down to Royal & Derngate for a good old fashioned German knees up! Running from 10:30pm-2:30am, this is not an event suitable for a younger audience. In honour of Halloween and All Souls’ Day, Royal & Derngate will be allowing visitors to explore the theatre’s spectral secrets. With an illustrious 132-year history, the theatre has some stories to tell; and a few resident ghosts and ghouls too… Will you bump into the Grey lady? Or find out what’s causing things to go awry in the vaults under the stage in the Derngate auditorium? Follow paranormal experts, UK Haunted through the theatre as they use specialist equipment and some supernatural knowhow to discover the ghostly inhabitants of the Royal and Derngate auditoria. To top off the autumn events that are taking place at Royal & Derngate over the next couple of months, how about an evening with Jools Holland’s incomparable Rhythm and Blues Orchestra. With a fantastic line up, including the remarkable vocals of Ruby Turner and Louise Marshall along with Beth Rowley, and a set list that reaches back through the decades; it’s sure to be a real party of a performance- you’ll struggle to stay in your seat! 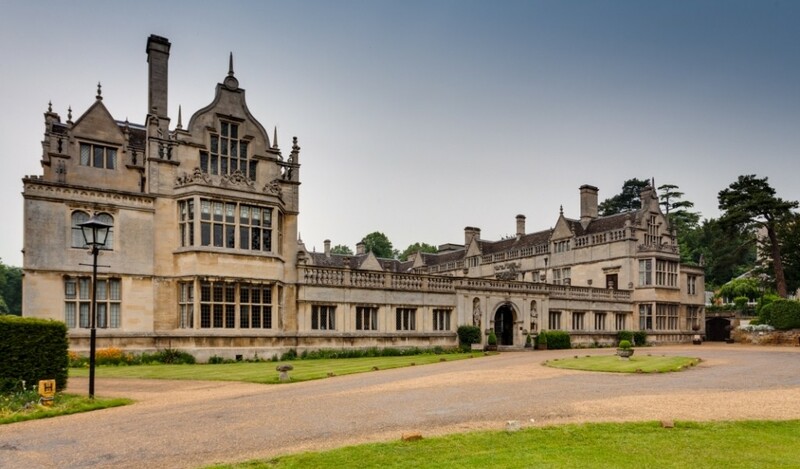 All of these fantastic events are happening just down the road form Rushton Hall, making it the perfect Northamptonshire hotel from which to base your autumn itinerary! Book direct for our best rates, or call us today on 01536 713001 to enquire.